I’m not sure why it took me so long to think of this, but I’m certainly glad I finally did. This hummus is filled with delicious pickle flavor by blending cornichons into the garbanzo beans. Cornichon is the French word for gherkin. French style cornichons are much smaller than normal pickles and have a more tart, vinegar taste to them compared to regular dill pickles. 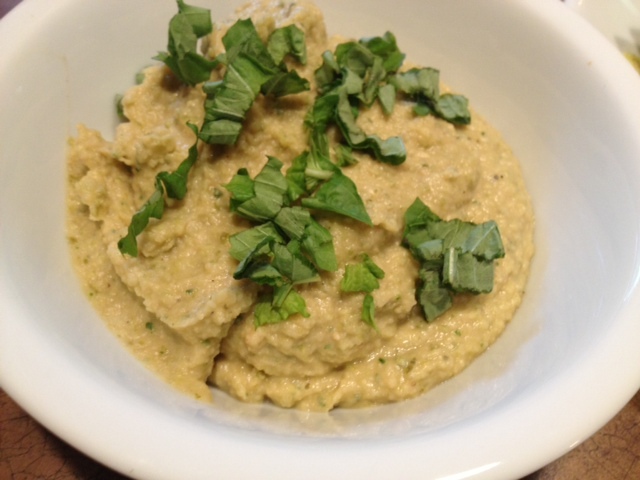 The basil adds a nice earthiness to the hummus that balances out the tangy flavor of the cornichons. 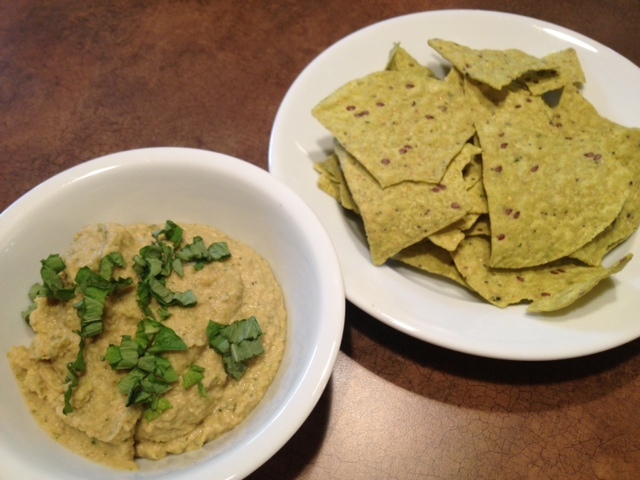 I served it up with some tortilla chips but you could eat the hummus with pita, veggies or whatever your heart desires! Makes ~3 cups of hummus. In the food processor, add 1 can of garbanzo beans and blend. Once smooth, add in the second can. If the mixture gets too thick, you can always add in a little water to thin it out. Once the garbanzo beans are smooth, add in the cornichons, basil, olive oil and a dash of garlic salt and black pepper. Blend again until completely smooth. Serve with some chopped basil over top. ← Creamy Mushroom & Broccoli Spaghetti Casserole.